Beautiful studs with an irregular embossed plate. 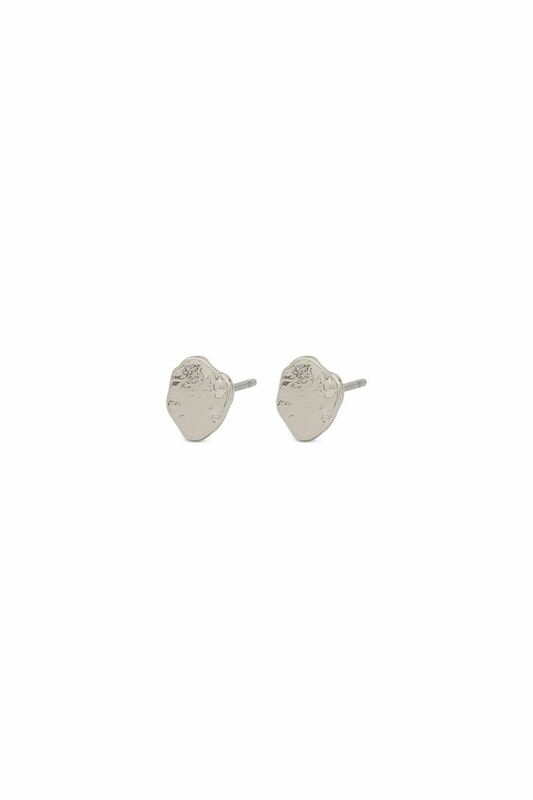 Beautiful studs with an irregular embossed plate. The rough design makes for a cool and down-to-earth look. They are well-balanced on their own for a simple, raw look, but can also play up against other of Pilgrim's pieces to create your own personal look. Adds a nice counterpoint to Pilgrim’s beautiful, feminine jewellery.